Photo: Azores for All team. Easy to surf, the site aims to be accessible for all, such as the tourism and leisure experiences that provides: adapted activities, from tours in adapted van and walks in Joelette; to activities for the conventional tourists like canoe trips, jeep tours and cultural tours. 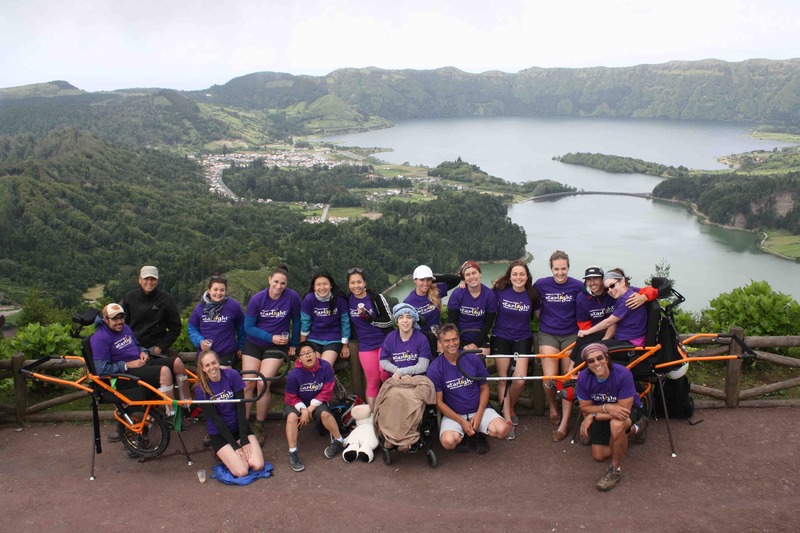 The Azores For All brand aims to claim the Azores as an accessible tourism destination, both for its natural characteristics and for its cultural and historical heritage, contributing to an adequate response to tourists needs, in particular, tourists with special needs. Only that way tourism can be an accessible activity for ALL. Download this press release in PDF format (in Portuguese and English) from the right-hand panel.